We would like to say a big thank you to yourself and all of the team at Dimension. From the very start to the end of our build, including the 3 month warranty at the end of the build. Everything went well and everyone was so helpful. We are very happy with the finish of our home. Nothing was to much trouble and all our questions were answered as asked and with a smile. We would recommend your company to anyone thinking of building. Once again thanks. What a great family business with a great team of workers and sub contractors. We were impressed from the very beginning of our negotiations by the way in which you assisted us in our choices, amendments, progressive reports, inspections, hand over and follow up. We are thrilled with the end result and finish. You know that we have no hesitation in recommending your company. It is with great pleasure I write this reference for Michael and his team at Dimension Homes. From the day when I ventured into their display home looking to build a house with a reputable builder. I had the feeling I was in the right place. Then after I met Michael, whose building experience and confidence immediately gave me the momentum to continue. I signed up. From the beginning, I was given excellent advice as to what plan of house design would suit my chosen block of land. Then as time progressed, I discovered that nothing was too much trouble for the Dimension Homes team, when it came to accommodating my requirements and wishes, even when it came down to the smallest of details. With having to choose the internal décor, Alisha’s professional help was absolutely fantastic. I wish to also state, that I was always treated with utmost courtesy and respect by all the members of the team, as well as the sub-contractors on the site. It goes without saying that I am very pleased with my new home and I recommend Dimension Homes to anyone thinking of building with them, or purchasing one of their homes. To all concerned with the building of our home in Buninyong, we would like you to know it is appreciated and wanted to say “Thank You”. To Michael Brooks and his fabulous team. To Ben & his crew! The biggest “Thank You” for a dream come true in the building of our home. You have all been amazing and we really appreciate your care and interest all through the build and beyond. Thank you for building me a beautiful home, I still feel like I’m dreaming. 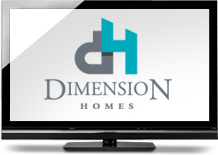 I would highly recommend you to anyone when building their future home with Dimension Homes. Just a note to say thank you for building our home through what can be a stressful time. We are now settled in and would like to thank you one and all for all the help you gave us during the 5 months and hope you continue to do the same for many more people. A small thank you to Michael, Ben, Lauren and the team at Dimension Homes. I cannot thank you enough for your time and effort in helping me build my first home. 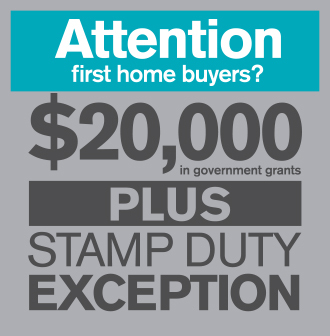 I can definitely now confirm the advice provided to use Dimension Homes is well founded! Ben and Lauren have been excellent in assisting me through the process and all my variations and issues. Sincerely thank you. A very happy client. From the beginning of the process, speaking to Mel at the display home, to Mike Brooks follow up call and meeting, to Alisha, Lauren and Ben working along side all the way, you have all made this initially a “scary” decision to a wonderfully positive and enlighting experience. I have nothing but praise for you all being so approachable and understanding. If I wanted to build again, I wouldn’t go anywhere else and highly recommend the team at Dimension Homes. To all the staff and employees at Dimension Homes, thank you so much for all you have done.